As the latest generation of Blu-ray disc, the 4K Ultra HD Blu-ray not only offers sharper pictures but also adds all sorts of useful things like High Dynamic Range (HDR) and new-gen audio standards like Dolby Atmos. Besides watching 4K Blu-ray disc on a 4K TV with a UHD Blu-ray player, some people may wish to watch the UHD Blu-ray movies via PC or laptop instead of a player. The good news is that there are a few workarounds, the following will list 2 of the best ways we have found for easily playing 4K Blu-ray on PC. Notes: No matter which methods you choose, a 4K Blu-ray drive is essential to read the data on a UHD Blu-ray disc. Pioneer has announced a pair of what the company claims are the first-ever PC disc drives capable of playing 4K UHD Blu-rays – finally giving computer owners a method of playing physical 4K media on their machines. Dubbed the BDR-S 11 J-BK and BDR-S 11 J-X, both disc drives are released in late February of 2017. After you’ve got the 4K Blu-ray drive in hand, you can then proceed to the next step. When searching on the market, you may find that there are many program claim that it has the 4K Blu-ray disc playback capability such as Leawo Free 4K Blu-ray Player, Aurora Blu-ray Player, iDeer Blu-ray Player, PotPlayer, etc. However, currently, the only officially supported way to play UHD Blu-rays on Windows is to use the commercial program Cyberlink PowerDVD, which is also the world’s first 4K Blu-ray software media player certified by the Blu-ray Disc Association (BDA). If you are looking for a simple and convenient way to watch UHD Blu-ray movies on PC. Then we highly recommend you to digitize UHD Blu-ray with our powerful 4K Blu-ray Ripper software – Pavtube BDMagic. The program has full support for both 4K Blu-ray disc/BDMV folder/ISO image file, the built-in decrypter can automatically bypass all Blu-ray copy protection and region codec in the background, so that you can make digital copy of the content on the 4K UHD Blu-ray movies. As for the output options, if you don’t want to loss any quality, you can either make a 1:1 full disc copy of UHD Blu-ray with original structure or remux 4K Blu-ray to a container file format without codec transcoding. If you wish to get a fast 4K UHD Blu-ray to digital format copying process, the main UHD Blu-ray movie copy will save you a lot of time without touching the unwanted comments, features, ads, comments, etc. 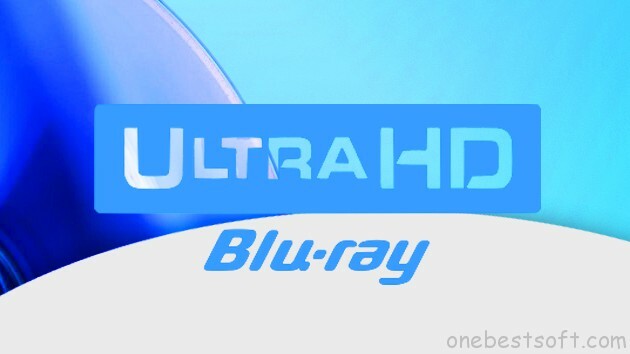 What’s more, you can also choose to convert Ultra HD Blu-ray to other popular digital 4K file formats such as 4K AVI/WMV/MP4/MOV/MKV/H.264/H.265, etc for viewing on your PC with 4K media player software like VLC, Windows Media Player, KMPlayer, Media Player Classic, Divx Player, etc. Tips: If your computer or the media player software on your PC is not powerful to handle 4K resolution video playback, you can choose to compress 4K UHD Blu-ray to 1080p digital video by outputting a HD file format such as H.264 HD MP4, H.264 HD MOV, H.265 HD MP4, MEPG-4 HD, MPEG-2 HD, MEPG-TS HD, MKV HD, WMV HD, Divx HD, AVI HD, BDAV HD for viewing on your slow PC computer or non-4k capable media player software smoothly. This UHD 4K Blu-ray Ripper is quite simple to use, all the workspace is intuitively designed and all the most common tools are found on the main screen, anyone can learn to use it in minutes. In addition, it always keeps constant update with perfect compatibility with the new Windows OS (like Windows 10) and also the powerful disc decryption capability for the new encryption such as MKB61 and MKB62. The last important point, the results produced by the program are high quality, if you choose the highest possible video quality, you can’t tell the difference between the ripped video and the original 4K UHD Blu-ray movies. Step 1: Load UHD Blu-ray disc. Insert the UHD Blu-ray disc into an external 4K Blu-ray drive, then press “File” > “Load from disc” option on the main interface to load 4K Blu-ray disc into the program, alternatively, you can also import 4K Blu-ray folder or 4K Blu-ray ISO files with the program. Step 2: Backup UHD Blu-ray to PC in various ways. On the top tool bar of the main interface, use the option to make an entire disc copy of original 4K Blu-ray disc structure without changing anything. 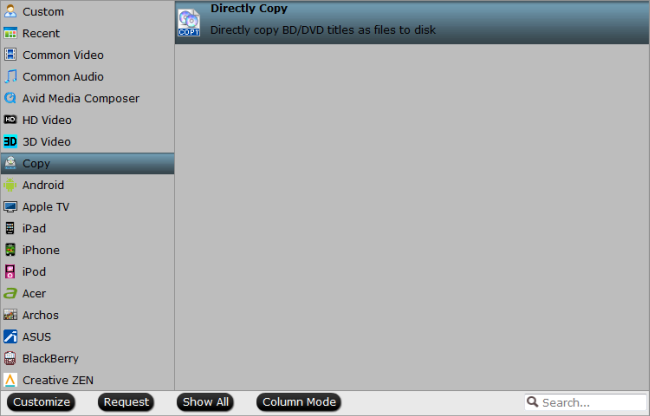 From “Format” bar drop-down list, select “Copy” > “Direct” Copy, you can then copy the selected movie file in its original format without quality loss. When directly copy a 4K Blu-ray title, you will get .h.265 as output. 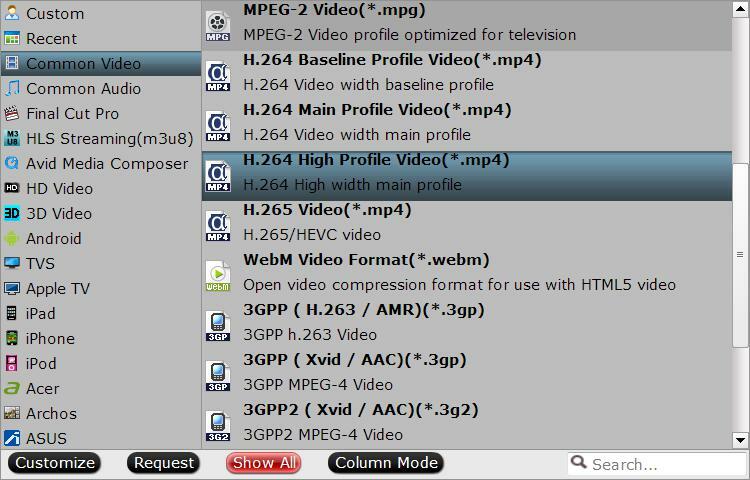 Click “Format” bar, from its drop-down list, select one of your desired 4K file format such as “H.264 High Profile Video(*.mp4)” under “Common Video” main category. You can also choose other 4K file formats according to your own needs. You can also choose to rip 4K UHD to HD digital file formats such as “H.264 HD Video(*.mp4)” > “HD Video” for smoothly viewing on slow PC computer or non-4K capable media player software. After all setting is completed, hit the “Convert” button at the right bottom of the main interface to begin the conversion process from 4K UHD Blu-ray to 4K or HD digital file format. When the conversion is finished, click “Open Output Folder” icon on the main interface to open the folder with generated files. Then you will have no limitation to enjoy 4K Blu-ray movies on your computer with perfect quality.